The anti-apartheid activist Nelson Mandela turns 93. 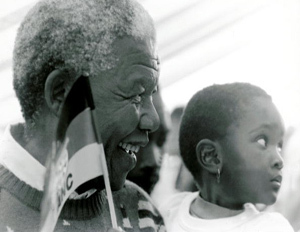 In honor of the South African Leader’s birthday, the UN acknowledges July 18 as “Nelson Mandela Day,â€ in recognition of the former South African president’s crusade for freedom, peace and equality. The White House formally threatened Monday to veto a Republican measure requiring congressional approval of a balanced-budget amendment to the Constitution before the nation’s debt ceiling can be raised. House Republican leaders denounced the veto threat and said they would go ahead with a scheduled vote Tuesday on the proposal, which would impose strict new spending caps and require that Congress give the balanced-budget amendment the two-thirds vote necessary to send it to the states for ratification before the debt limit could be raised. Two weeks ago, the University of Connecticut rescinded the acceptance of 13-year-old Autum Ashante, declaring her not “academically readyâ€– although she has an IQ test score of 149. However, the Ashante’s weren’t the only ones outraged by such news. Josephine Minnow, a University of Connecticut alumna, discovered Autum’s story and immediately responded. In Sierra Leone, though, it seems clear that lives are being saved, providing an early and concrete lesson about the impact of making health care free for the very poor and vulnerable. 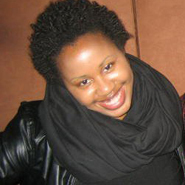 VH1 announced Stacy A. Littlejohn‘s hour-long scripted series, Single Ladies, will begin production of a new season later this year, with new shows scheduled to air in 2012. The romantic comedy–which gains an abundance of Twitter buzz during each episode–has its fair share of displeased viewers and overall supporters, but the numbers don’t lie, with the show gaining a cumulative 2.8 million viewers. It’s also showing great popularity amongst the 18-34 female demographic.